Not a Drop to Drink by Mindy McGinnis — I’d wanted to read this for a long time, based mostly on the gorgeous cover. A really good post-apocalyptic YA story, though the middle felt a little slow. Banished by Liz de Jager — Loved this! I struggle sometimes with fantasy, but this was absolutely brilliant. Very fast-paced with an excellent main character. Adored the budding romance between Kit and Thorn. Looking forward to book two in the trilogy. In Bloom by Matthew Crow — Another book I’ve been meaning to read for a long time, partly because of the amazing reviews and partly because Matthew shares my editor. A YA contemporary about a boy facing leukaemia, but nothing like another very famous YA book about children with cancer. I felt much more comfortable with In Bloom than I did that other famous book. In Bloom has a very British feel, and a tone that reminded me of the Adrian Mole books (which I read over and over as a teen). The Statistical Probability of Love at First Sight by Jennifer E. Smith — A book I’ve been aware of for a long time. I enjoyed it, but somehow expected…more. Fractured by Teri Terry — Book two in the Slated trilogy. 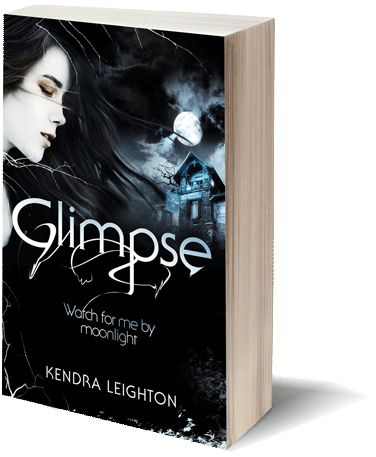 A fantastic second book, with countless twists and turns. Very impressed. Every Day by David Levithan — I really loved this. A very unique concept (about a character who wakes every day in a new body) and extremely thought-provoking. Geek Girl: Model Misfit by Holly Smale — Really surprised myself by how much I enjoyed this and the first Geek Girl book. Beware of Long Lankin, that lives in the moss. . . .When Cora and her younger sister, Mimi, are sent to stay with their elderly aunt in the isolated village of Byers Guerdon, they receive a less than warm welcome. Auntie Ida is eccentric and rigid, and the girls are desperate to go back to London. But what they don’t know is that their aunt’s life was devastated the last time two young sisters were at Guerdon Hall, and she is determined to protect her nieces from an evil that has lain hidden for years. Along with Roger and Peter, two village boys, Cora must uncover the horrifying truth that has held Bryers Guerdon in its dark grip for centuries — before it’s too late for little Mimi. Riveting and intensely atmospheric, this stunning debut will hold readers in its spell long after the last page is turned. Thanks to a recommendation from fellow author Robin Stevens, this rare non-YA book made it onto my reading list. Long Lankin is inspired by a traditional ballad of the same name, and Robin suggested I read it since my novel Glimpse is also based on a poem. I wasn’t totally convinced, especially since I’d heard Long Lankin was scary, but I decided to give it a try, and am so glad I did. 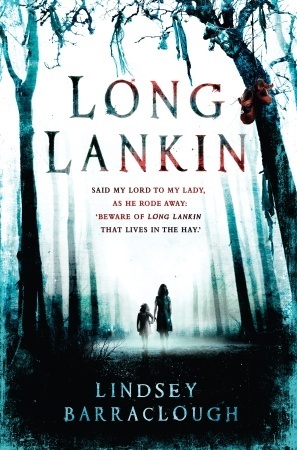 Long Lankin is exactly my kind of book. It’s creepy, but in just the way I like (my tastes for horror and the paranormal are very specific—I am easily freaked out if it’s the ‘wrong’ kind). I think this is a lot to do with the fact that the two main narrators are children—they have an innocence and curiosity that stops the story becoming too morbid. It is scary at times, especially towards the end, but by then I was so keen to find out the truth that I lapped all the details up. My only complaint is that not everything in this long book felt necessary—we get lots of insights into the multiple narrators’ lives that don’t have a lot to do with the main story—but the main plot itself was expertly revealed. I’d definitely recommend this book if you’re in the mood for something clever and dark. Also very excited to learn that there’s a prequel/sequel, The Mark of Cain, coming out in July —hooray! Just added all of these to my TBR list! 🙂 (I’m currently busy reading a certain someone’s debut novel!) I haven’t read The Statistical Probability of Love at First Sight yet but I felt the exact same way as you about two of Jennifer E. Smith’s other books – I liked them, but I expected something more.